In this story, we’ll reveal the exceptional features of the world’s most popular and downloaded app named Tik Tok for those startups and entrepreneurs, who are planning to develop music video-sharing app. The music and video on demand service apps have completely changed the way we interact with the music and videos. Talking about the video-sharing apps, recently, a Korean video sharing app Amazer has secured $1.3M ‘Series A’ funding from its investors BTC investment, Bithumb & ICB. Founded in 2016, Amazer allows its Korean pop music fans to create as well as upload their own dancing videos. 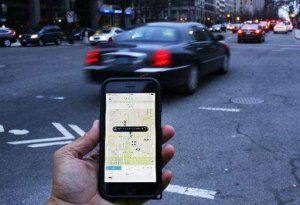 In the same year, Amazer received a $6M as seed funding from its investors, GS home shopping & KTB network. There’s also an app named Tik Tok that has already created a buzz and quickly becoming popular in the world. The app, also known as Douyin in China, is a music video-sharing app and social media network, allowing users to shoot and edit short clips, add music, and special effects into those videos. According to the latest report, “The popular short video app, Musical.ly, has merged with a sister app, Tik Tok.” Moreover, the users of Musical.ly will see their app switch to Tik Tok once they update their apps. 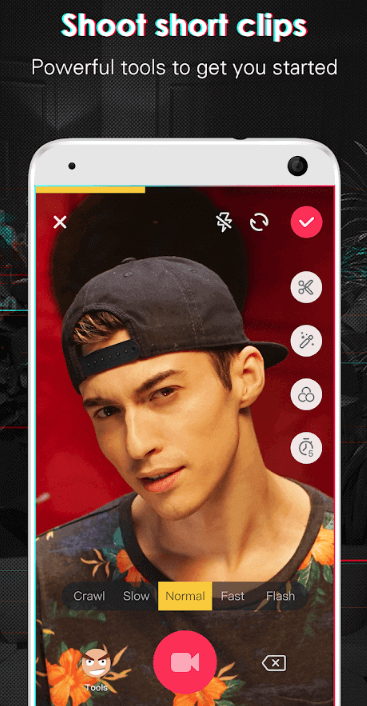 As per another report from Business of Apps, “Tik Tok app has rolled out a major new feature, long-form video app, Xigua Video.” The app features films, television shows, and exclusive content. Looking at another top report from TechCrunch, ByteDance’s 2017 acquisition of tween and teen-focused social app named Musical.ly is paying off. The company has collaborated this year with its own short video app TikTok to enter the U.S. market. We also came across another report from sensortower.com, the app, Tik Tok, has managed to gross an estimated $75 million directly from TikTok users through the sale of virtual currency. 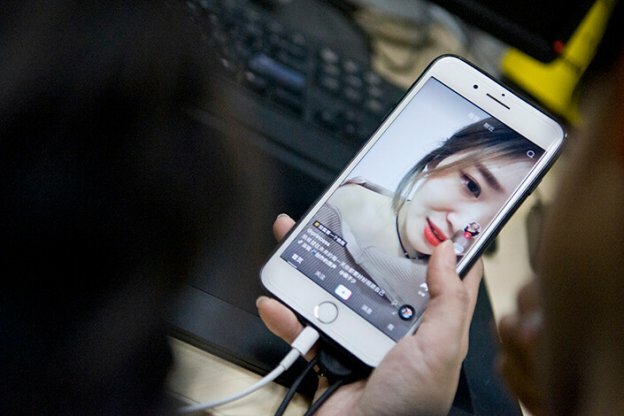 The Chinese mini-music-video social network, Tik Tok was the most downloaded app in the first quarter of 2018. The app is owned by the same parent company, which bought social video app Musical.ly for $1 billion in 2017. 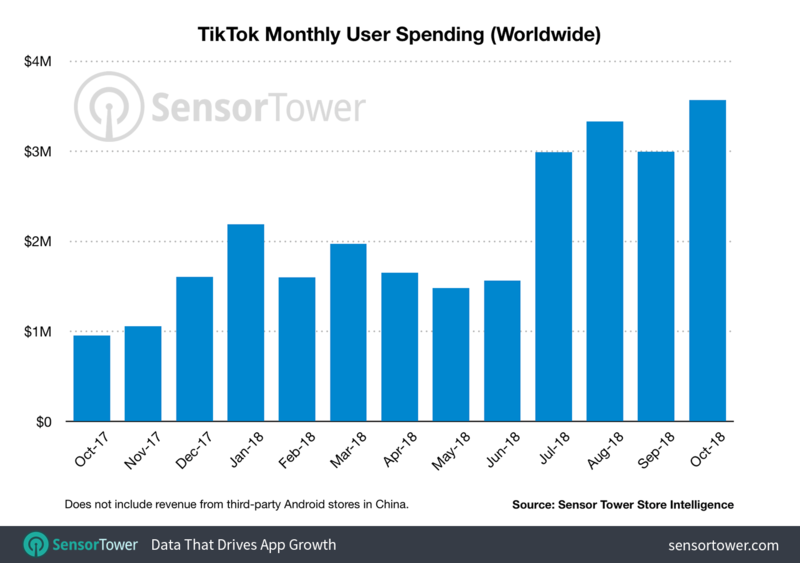 According to the report from U.S. research firm, Sensor Tower, “Tik Tok has become a ‘total phenomenon’ in China in recent months”. Launched in September 2016 by Zhang Yiming, founder of Toutiao, the Tik Tok app is developed by Beijing-based tech unicorn Bytedance. The number of daily active app users reached 66 million in February 2018. Currently, Tik Tok is one of the most popular short video maker apps in Asia and making numerous viral trends across the continent. In China, Tik Tok is already one of the fastest growing apps and the most popular music video community. Thanks to its advanced and easy-to-use technology. SimilarWeb: According to SimilarWeb report, you can see the usage rank, which is also going in the upward direction. Google Trends: Here’s the latest trend by Google Trends, where you can see the interest over time is simply increasing. This is what you can check in the below image. 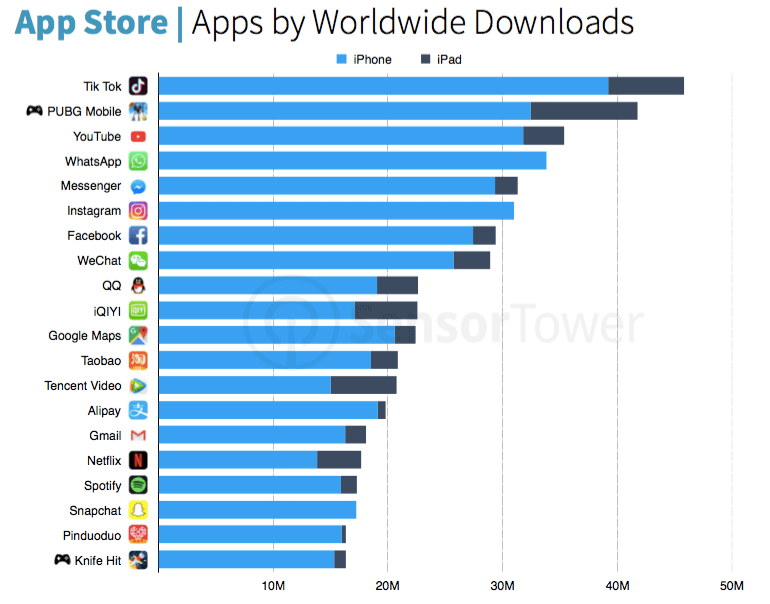 In the first quarter of 2018, the app was downloaded for 45.8 million times during the three-month period. 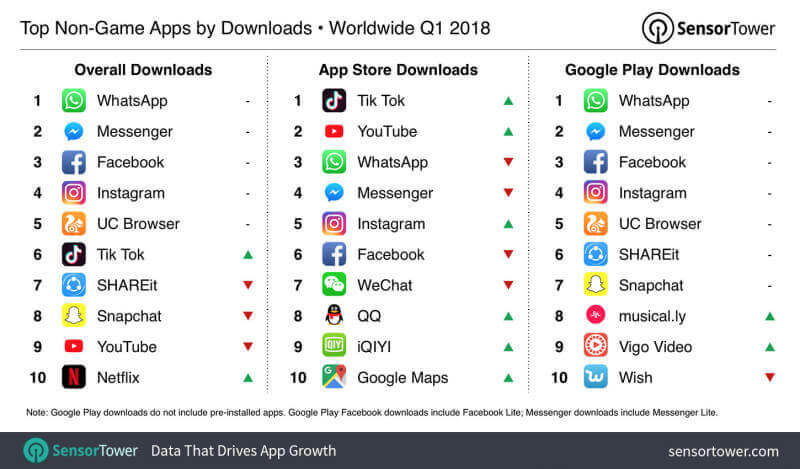 In addition to this, Tik Top has already taken over the top spot from Facebook’s WhatsApp, Snapchat, YouTube, and Messenger. This is what you can check in the below-given image. Hence, we can say that this video-sharing app has broken all the records set by Facebook and WhatsApp. If you are planning to develop Android app under the same category, then you need to explore the unique features of Tik Tok that made this app stands out from others. Creating a successful music video maker app is only possible if you would provide users with something unique and in variety. When it comes to musical video apps, then you should keep in your mind that allows users to explore and have fun. Here, we’re taking an example of Tik Tok app that allows users to watch millions of musical clips. And, providing with such features something have taken Tik Tok to the next level. So, one key point is that this is one of the essential features if you have planned to create music video app like Tik Tok. So, in this way, allow users to interact with the music in a new way. Make it for users to create their own short music videos by selecting background music, and they create whatever they want for 15 seconds. It also contains various music styles, including hip-hop and electronic. To make a successful short video platform like Tik Tok, you need to provide such features that create a buzz among youngsters. Tik Tok app is designed for new generations of digital natives and social media creators. So, being a startup, if you are targeting youngsters and want to make a video creator app like Tik Tok, then ‘special effects’ feature is the heart of such app. You need to include eye-catching and easy-to-use special effects so that users have fun and make entertaining videos more easily. Through artificial intelligence and image capturing technology, making music video app with special effects become easily possible. However, special effects include shaking and shivering with hip-hop and electronic music, hair dying, 3D stickers and props. In addition, users can take their talent to the next level and unlock a world of endless possibilities by tapping into a massive music library. The lip-syncing app lets app users create short lip-synchronizing music videos and share those videos on multiple social platforms like Facebook, WhatsApp, Instagram, and Messenger. Allowing users to share on multiple platforms is the must-have feature to consider before developing a music video-sharing app like Tik Tok. Undoubtedly, Tik Tok app is becoming a new cultural benchmark for global video creators. Personalized recommendation algorithms enable users preferences and increase engagement. As you’ve just gone through with the unique features of the Tik Tok app, which has emerged as one of the world’s most popular iPhone apps. So, if you are planning to develop a video maker app like Tik Tok, and still have a plethora of questions like how much does it cost to develop an app like Tik Tok? Then, you can directly consult us as we are a leading iPhone app development company and have already developed over 3500 mobile applications in different categories. Still confused regarding music video app development? Then, all you need to do is just fill out the below-given form. And, our sales representative will get right back to you within 48 hours. This page was last edited on March 22nd, 2019, at 9:02. 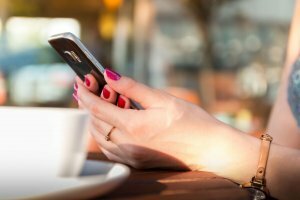 Why Should I Develop an iPhone & Android App From My Website?